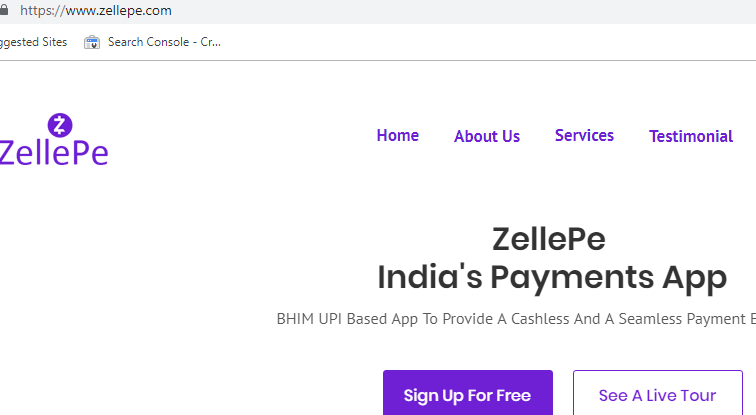 A new INDRP dispute has filed against ZellePe.in domain name on 6th March 2019. It’s the second INDRP dispute against Zellepay, the previous case ZellePay.in was registered on 15th January. Very likely the complainant is, it is a registered company in the U.S. The complainant is a U.S.-based digital payments network. The companies main website is ZellePay.com, registered in the year 2016. The website is popular in the U.S as well as Global. According to the Alexa ranking metrics, the global ranking is 39,325, and the U.S ranking is 6,974. ZellePe.in website appears to be based in Hongkong. Zelleppay Inc is the organization name as per WhoIs data. Also, the website about us page is not mentioned about the companies address. All the companies contact details and address details were not displaying the website, seems like its not a genuine website. Domain names of the Respondent. ZellePe.com is the main website and the remaining two domain names are redirecting to the main website. Seems like the respondent started their business recently in 2018. The domain names using by the respondent is a part of their business domain name strategy. However, Zellepay.com was already registered by Zelle in 2016, the same keyword has been using by the respondent with .IN extension. It can create some problems for the respondent in terms of domain name registered in bad faith. It’s an interesting dispute to watch for the result. As evidences submitted by respondent or complainant will have an influence on the decision. 50-50 winning chances for both the respondent and complainant in this case. Mr. V. Shrivastav is appointed as the INDRP arbitrator for ZellePe.in ownership dispute.